Zimbabwe People First senior official Mr Kudakwashe Bhasikiti has been taken to the High Court over an outstanding electricity bill amounting to $133 600. Zimbabwe Electricity Transmission and Distribution Company (ZETDC), a subsidiary of Zesa Holdings, claims it supplied electricity to the politician’s farm in Rutenga in terms of a contract between the parties. However, Mr Bhasikiti did not pay the debt, resulting in the power company issuing out summons through its lawyers Chihambakwe, Mutizwa and Partners. ZETDC is claiming the principal debt plus interest calculated from the date of issuance of summons to the date of payment in full. The power firm also seeks an order for costs against Mr Bhasikiti. Electricity was supplied to Moria Ranch on Mr Bhasikiti’s request. Mr Bhasikiti’s Moria Ranch has two electricity accounts. By February 20 this year, one of the accounts, Number 1979678 recorded a bill of $84 806,72 while Number 1970915 had a bill of $48 857,01. Efforts by the power firm to recover the debt failed as the politician refused to pay. To that end, ZETDC wants an order compelling Mr Bhasikiti to pay the debt plus interest at the rate of 5 percent per annum. Mr Bhasikiti is yet to respond to the suit. 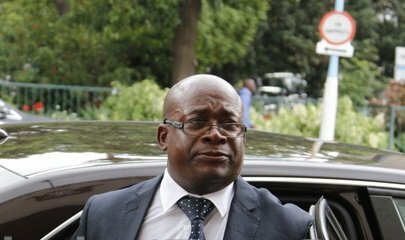 Mr Bhasikiti was fired from Zanu-PF in 2015 and he unsuccessfully challenged his expulsion at the courts. When he lost the fight, Mr Bhasikiti joined Mr Rugare Gumbo, Dr Joice Mujuru and Mr Didymus Mutasa, who were also axed from the ruling party and formed the Zimbabwe People First.